Timber Wolf Quad Blade Push Dagger With Sheath - Stainless Steel Blade, Full Tang, Wooden Handle Scales - Length 8” | BUDK.com - Knives & Swords At The Lowest Prices! 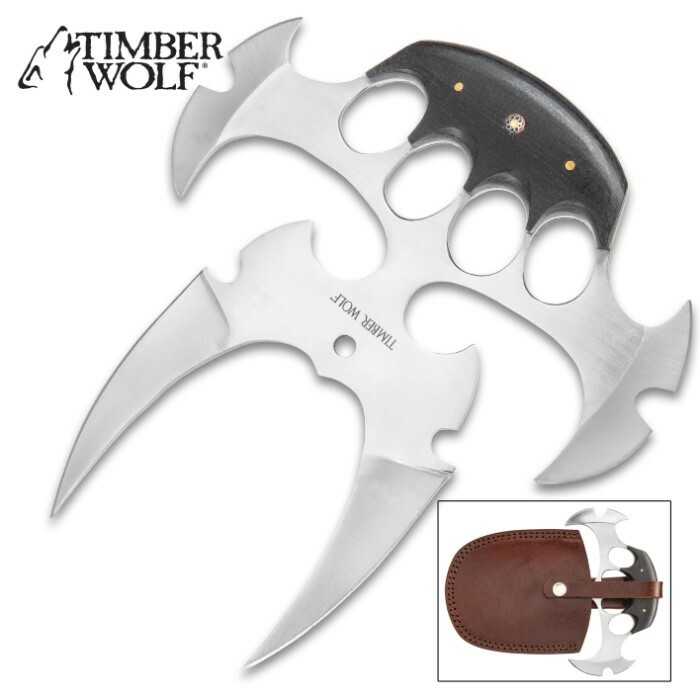 The Timber Wolf Quad Blade Push Dagger is a fierce beast unlike anything you’ve ever seen before! If it can't get the job done, then there’s nothing out there that can! 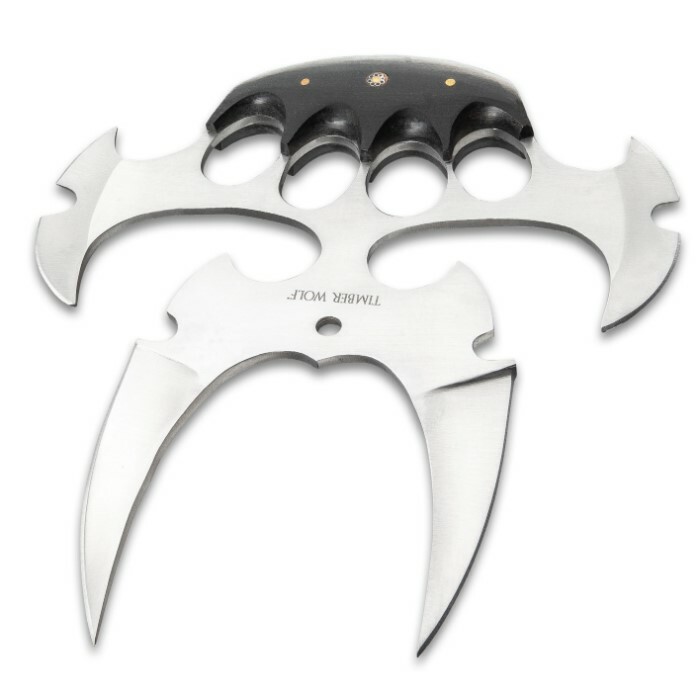 It has four razor-sharp stainless steel blade edges and knuckle duster style finger holes for complete control when using. The full-tang, quad-blade dagger has two curved blade edges that are 2 3/4” and two curved blade edges that are 3 3/4”. The ergonomically curved, black wooden handle scales feature a rosette accent and are secured to the tang by brass pins. The wickedly awesome 8” overall push dagger can be carried and stored in a premium leather belt sheath with snap closure. Timber Wolf’s Quad Blade Push Dagger lets folks know that you mean business!